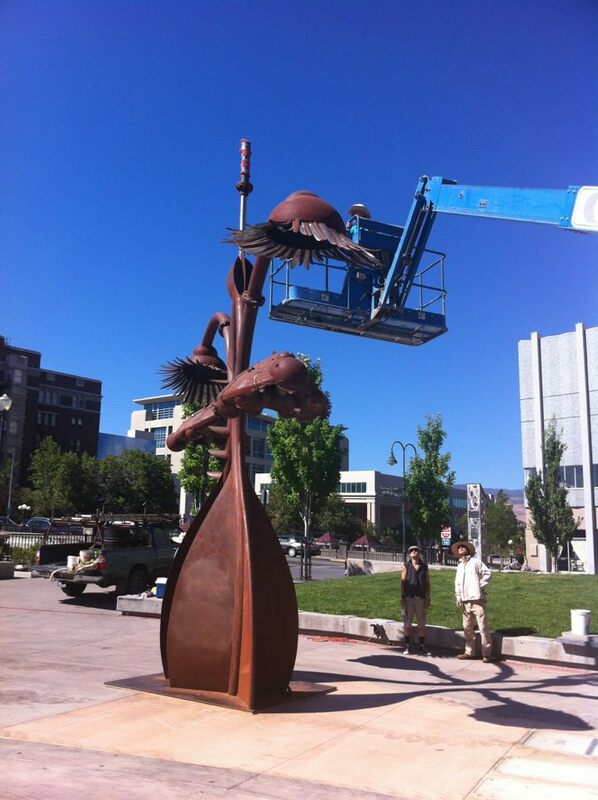 Bryan Tedrick’s sculpture, Portal of Evolution is being installed at a newly established public art location at Reno’s City Plaza next to Reno City Hall. At 26’ tall and 32’ wide, Portal of Evolution is a sculpture formed with petal like steel plates from which emerges a kinetic butterfly. Made of steel and stainless steel, the sculpture was first displayed at Burning Man in 2008. Tedrick explains, "The context of Black Rock City (BRC) inspired me to create sculpture unencumbered by compromise. Being able to share this work in the broader context of a major urban center is a surprise. Frankly, I didn't think the outside world would embrace such magically bizarre work and this gives me hope that our culture is ready to open to new ways of seeing life and celebrating creativity." Portal of Evolution will be on display throughout Artown, the City’s annual month-long celebration of the Arts. For the entire month of July, Artown offers nearly 500 events ranging from live music, dance, theater and performances to visual arts, workshops, multicultural events and tours. The Festival brings distinguished artists from around the world, across the country and those that live in our community all for the sake of cultural diversity and artistic innovation. The sculpture will be erected on a newly established permanent art installation site located on the northeast corner of Reno’s City Plaza. Across the street from Reno City Hall, the site is often used for Burning Man community events and exhibits throughout the year, in addition to a host of special events and attractions. The installation site has been made possible through a generous effort by City of Reno employees spear headed by BRAF Board Member and Reno City Councilman Dave Aiazzi, in addition to a team of local volunteers for BRAF led by Maria Partridge, BRAF Board of Advisors and Artist Liason for Burning Man. “We’re thrilled about this seventh art installation to come to Reno through the collaboration of the Civic Art Program of the Black Rock Arts Foundation, the affiliate non-profit art organization of Burning Man, and The City of Reno. This new permanent installation site will continue to deliver on the mission to celebrate our community’s cultural life and encourage artistic excellence,” said Maria Partridge, BRAF Reno project liaison and Advisory Board member. “We believe the exhibition of Portal of Evolution at this central location in downtown Reno will serve the community by enhancing civic space through this transformation of flat concrete into an interactive community art project.” said Crimson Rose, Board Member for the Black Rock Arts Foundation and Art Director for Burning Man. Bryan Tedrick was born in Oakland in 1955 and raised in Point Richmond, where his mother still resides. After high school, he worked as a carpenter for architects and contractors and learned a great deal about building things. A stint at the Kaiser Shipyard taught him how to weld and handle big weights. He bought property on the Gualala River in 1976. “I did the Siddhartha thing. 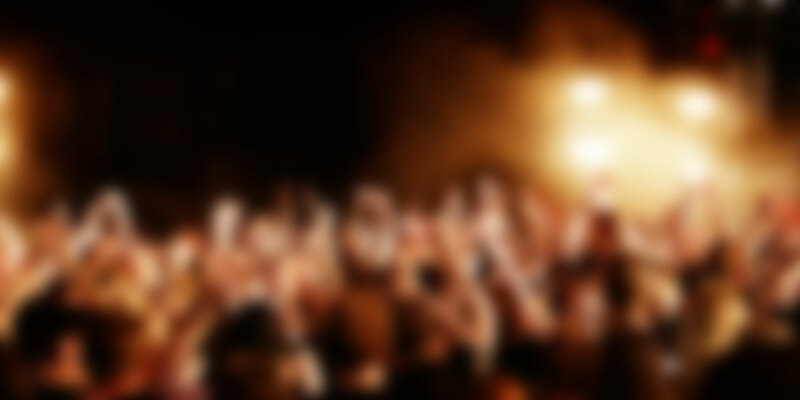 I sort of had my material scene together so then I said, ‘What do I want to do next in life?’ So I went back to school. Art was my one attempt as serious conformity and I’ve stuck with it ever since.” He received a B.F.A. in Sculpture from the San Francisco Art Institute in 1985. Tedrick and his wife, Terry Roberts, bought a house in Glen Ellen where they raised two children, Nathalie and Jakob – both of whom went to Dunbar – and kept a studio at the Art Farm for seven years before moving to the current studio. Tedrick’s works are often kinetic and always seem to be in motion when they aren’t. His themes run to the natural and animalistic world and can be very graphic in presentation.